At last, my housemate (Juan) and I finished unloading and unpacking our boxes into our new spacious apartment in San Francisco. We arranged the little furniture we did have in each of the rooms and our place slowly started to come together, making it feel more and more like home. Unfortunately, a few nights ago while placing a pizza order over the phone, Juan haphazardly "confused" our dining room table for a chair and sat on it! The table immediately broke into two pieces causing for his Buddha sculpture from Z Gallerie to slide off the table and crash onto the floor, shattering the sculpture into several pieces. Oy vey!!! 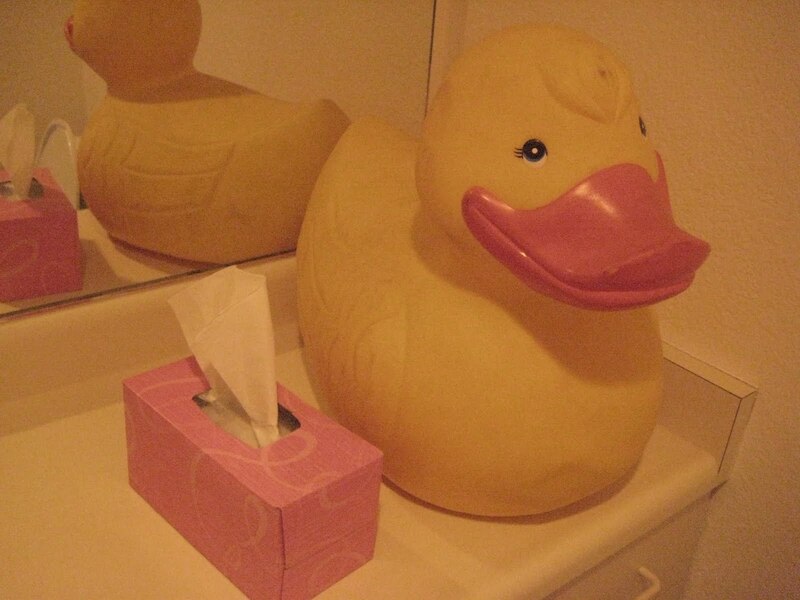 Although the sculpture is inexpensive, it contained sentimental value for Juan. The Buddha bust complemented the dining room motif and everyone loved it. Of course, we were both quite upset to find his Buddha sculpture damaged because it was one of his most prized decorative home accessories. However, as he started to gather the pieces together, he discovered an unusual sculpture hidden within the base of the Buddha bust (see below). What a strange figure! It appears to be an elf riding on a donkey? The person who crafted this sculpture had an interesting sense of humor...or simply had a peculiar way of entertaining themselves. An elf sitting sitting on a donkey? 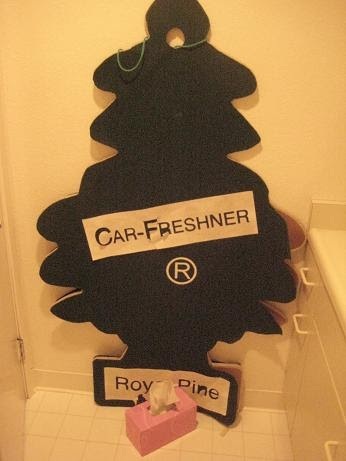 an over-sized Little Trees (R) Car Freshner. Looks like we will be hitting up some home furnishing stores this weekend in search of a new Buddha bust!